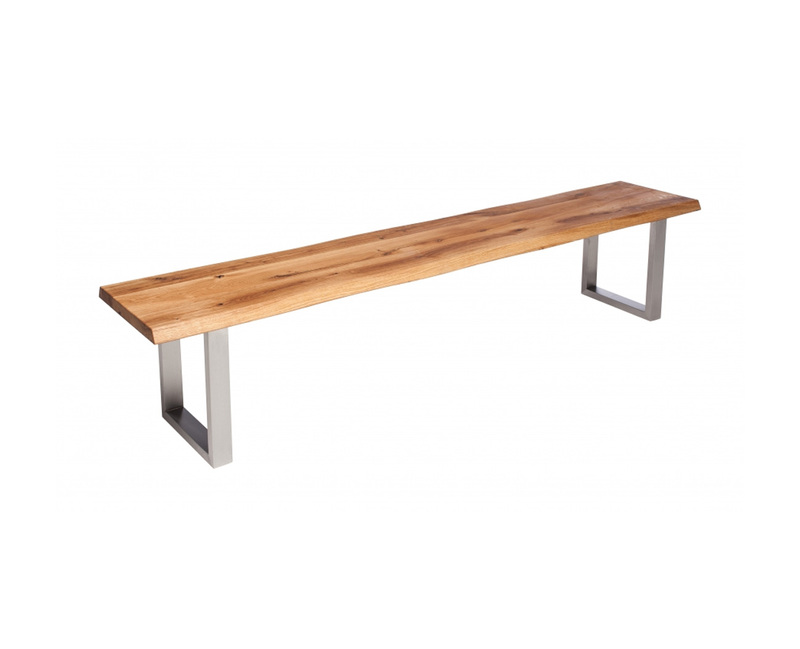 Benches can be selected in either solid European oak or solid North American black walnut – with the option of straight or natural wavy edges for each. Personal preferences can be even further tailored with contrasted fillers for the rustic tops, or simply with open knots and cracks to further accentuate the hallmarks of these characterfu timbers. Cutting edge finishes in oiled and lacquered compositions help to offer durability and pleasing patina. Available, with or without backs, and with choices of corner arrangements for a more flowing and relaxed dining environment, and with bases to match your chosen dining table.